I'm new at this blogging thing, but they tell me it's easy, so here goes... my name is Sophie Taylor, I'm twenty nine years old, and I'm a restaurateur with a double degree in cooking and hospitality management from the ICE, the Institute of Culinary Education. The love of my life is In Fashion, my restaurant in the garment district of Manhattan. The area has taken a beating in recent years from off shore manufacturing and the problems with the economy - hasn't everyone? I hear folks moaning about it all the time - but we carved out a little niche and created a sweet chi chi restaurant (chi chi in a good way!) that I'm fiercely proud of. And that I'm going to lose very soon. There are no two ways about it; I just had a meeting with my partners, and they are resolute in not pouring any more money into what they call a losing venture. Not another penny. It's weird, four years ago when we began this journey they couldn't throw money at me fast enough and now, nothing, nada, zip. The problems aren't that deep; we could fix it, but they are closing the purse strings. We aren't even losing money, just not making as much as they want but... no use fighting them anymore. Last night I dreamed I was back in Gracious Grove in the kitchen of my Nana's tearoom, Auntie Rose's Victorian Teahouse, and I was cooking. All the tension of In Fashion had slipped away; it was sunny, and I was serene. No stress, just the food, good, simple tearoom fare. But it was just a dream. If I lose In Fashion, I won't be serene, I can tell you that much. I don't know what my mother will say... or, yes, I actually do. She'll say 'forget your dreams and let me set you up with one of our sort, a rich guy who will take care of you'. Maybe that was okay for her, but she and Dad live separate lives, for the most part, and that's not what I want in a relationship. Not that you can't have both - a wealthy beau and a good relationship - but I haven't seen it often in my life. My mother decided early that her family's plebeian lifestyle was not good enough, so she snagged a wealthy man - my father - and had the three of us (I have two brothers) in rapid succession. The only time I ever saw a family member cooking was when I went to stay with my grandma - I call her Nana - in Gracious Grove, New York, a town nestled in the Finger Lakes region, the most beautiful spot in the United States. I would stand at Nana's elbow chopping pecans or whipping butter while she made scones and tea cakes for her tearoom. And then I would help her dust and carefully put back all of her wonderful collection of teapots, her other abiding passion in life. Photo courtesy of Chris 73 through Wikimedia Commons. Oh yes, did I not mention the teapots, our other shared passion? 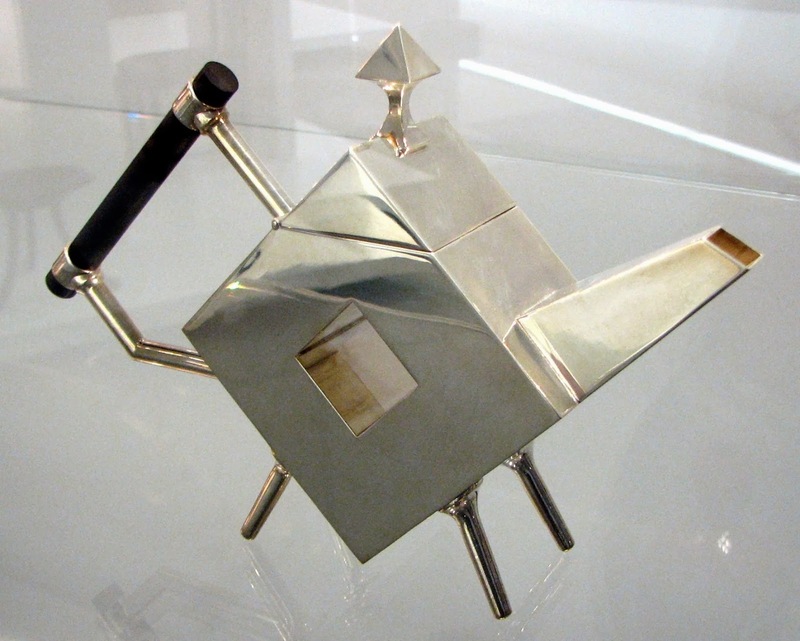 My Nana loves china and figural teapots (you know the whimsical type, teapots shaped like hats or cats) but I have a gorgeous collection of art deco and art nouveau teapots that I've gathered from antique shops and auctions. But it all started - the cooking and the collecting - in that sweet chintz and china tearoom in Gracious Grove. When I think of home, that's what I picture. Home... what is home to you? Is it where you live now, or is it a place in your memory? Home, for me, is Gracious Grove and my Nana. Amanda Cooper starting reading mystery novels at the age of 12 and devoured Agatha Christie mysteries, as well as those of Dorothy L. Sayers and Ngaio Marsh. She still adores mysteries, especially the cozy mysteries of Janet Bolin, Krista Davis, and others. Looking forward to this new series. Home to me, is where I live now. Its not perfect but it is home. I do have a "home" that is now only a memory and seen in some pictures. That would be the farm I grew up on. When I lived and worked in New York City, it was home, but now Threadville is home, and I love it here, surrounded by crafty friends and stores. There's life after Manhattan, Sophie! Looks like another great series...looking forward to it! We live only a few miles from where my husband and I both grew up but home is wherever my family is (and my dogs)! Wow. Another author who can keep track of multiple identities! Impressive. This sounds great. Restaurants in NYC are brutal to run. I can imagine greedy investors pulling out if you are only a glided egg goose, rather than a gold egg goose. I'd love to visit the tearoom. I'm very much looking forward to this series! Home to me was always anywhere my Mom was. When she passed almost 9 years ago, a piece of home passed with her. I'm single, but my home now is shared with my younger sister, a dog and 2 rabbits. I love my home even while my heart misses my "Mom home". One of my daughters collects china tea cups and teapots. Who would have thought that sort of thing would interest a modern young woman? It's nice to see, that they still value well-made, beautiful, individual things. Love all kinds of tea pots!! Looking forward to this series !!!! As in the old saying, my home is where my heart is, with my family, including our dog and cat and that happens to be in Michigan, despite too much snow at the moment. You've put me in the mood for tea, made the good old way, in a teapot, not with a teabag dangling in a cup! Thank you so much, everyone, for the encouragement. 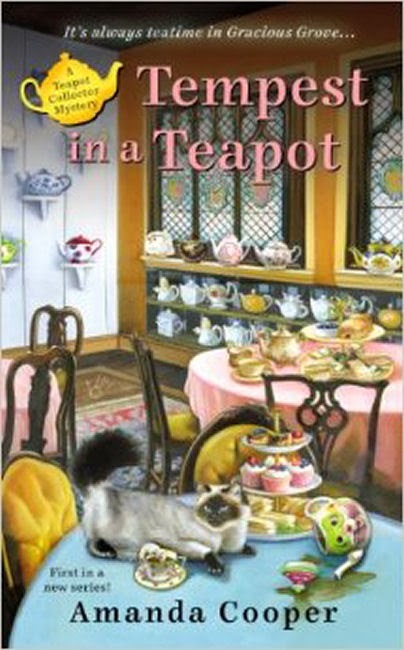 I'm so looking forward to this series debuting, because I truly am passionate about teapots, teacups and tea! I've always believed the saying 'home is where the heart is', and that seems to be the consensus.